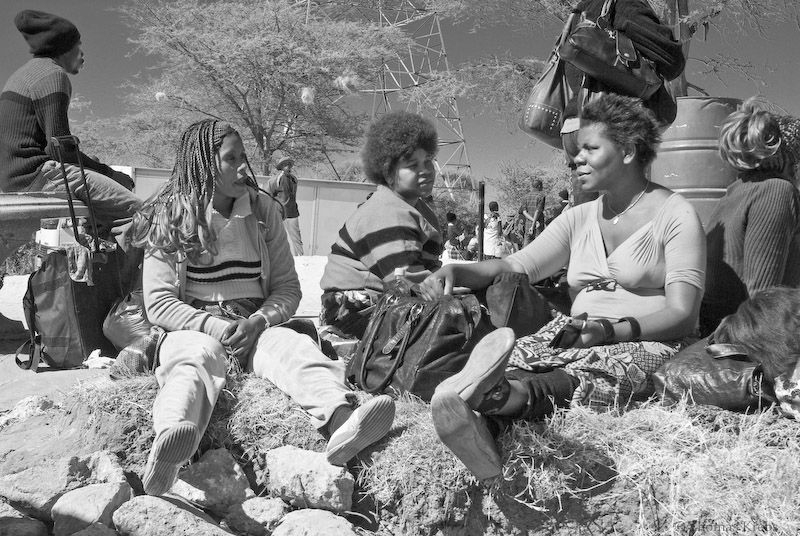 Those ladies were waiting for the ferry at the border between Botswana and Zambia. I like how you caught them in conversation. An interesting image that tells a story. I like the light.